Ruddy raw and psychoactive house charmers from the mighty Principe. 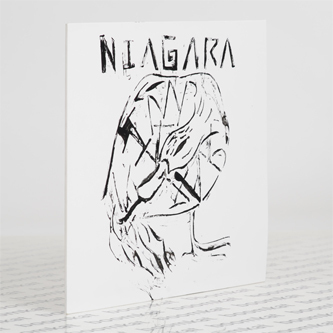 Niagara employs a more direct dancefloor template than most of his Portugese label peers, and the effect is deadly. Played live, and retaining that feral quality that has made this label so addictive, Niagara configures 6 tracks ranging from infected and dripping Lil Louis vibes on 'Arruda' to the cascading, synth-heavy hooks on 'Cheetah', before signing off with 'Alagarta' like some heat-infected Mr Oizo at his deadliest. Strong stuff from this increasingly impressive label.